CDs as images on your computer and run them at 200x speed from up to 31 virtual CD or DVD drives. 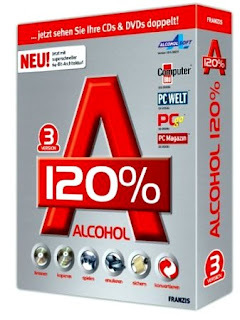 Alcohol is compatible with more than 99% of drives available. It supports the latest image file types including - MDS, CCD, BIN, CUE, ISO, CDI, BWT, BWI, BWS, BWA and many more. - NEW A.C.I.D Wizard "Alcohol Cloaking Initiative for DRM"
- FIX Problem with some Drives Not showing correct manufacture ID of blank discs.